Soft start provides smoother operation and protection for compressor, escalator, fan, and pump applications. In addition to reducing a building's impact on the electrical supply by reducing equipment start current, more advanced features allow safe use of a motor's full capacity within a system and can prevent damage resulting from reverse operation. You can find more detail concerning the benefits of soft start for the building services industry here. The MVE soft starter is a powerful and reliable solution for your medium voltage motor starting requirements. With our complete class E2 starter, MVE will get your motor running. In addition to standard packages we can supply custom cabinets to deliver a complete line-up that meets your requirements. Find out more. While the world’s best footballers showcase their skills at the 2022 FIFA World Cup in Qatar, AuCom will kick up the A.C. to relieve their perspiration. 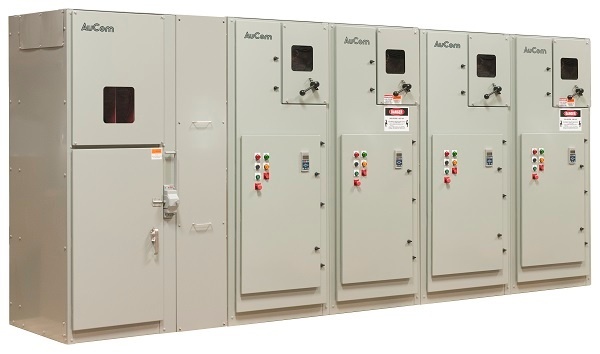 New Zealand-based AuCom Electronics, the motor control specialist with North American headquarters in Freedom, Penn., has signed a contract to provide MV soft starters for chillers to be used in the event facilities, which will likely see extreme heat. AuCom’s equipment is designed to help cool eight outdoor stadiums, expected to see 122 degree heat in the Middle Eastern country’s desert on the Arabian peninsula. Organizers also pledged to lower winter temperatures in the stadiums to 79 degrees.